Hi lovelies! OK, so i have been talking to all and sundry about changing up our patio for many many months now and finally i’ve got myself sorted into taking some action. It’s been a while – partly because i’m a procrastinator, partly because i needed to save up some dosh and mostly because i just couldn’t make up my mind what i wanted to do. I knew that it really wasn’t working for me, that it’s felt so disjointed for ages and that it was starting to look grubby and grotty and pretty forgotten, so a few weeks ago i set the ball in motion and started planning in earnest. OK, so here is where it’s at. To me it looks like a mess. Totally uncohesive and all over the show. i am NOT loving it! The Persians are a mix of real, proper silk ones which The Captain has a thing for and which he bought on auction many years ago. There’s a cheap as chips fake one i bought for R380 over 15 years ago and which has gone with me to all of the places i’ve lived since i was 25 (i love how worn it is now) and then there is a large one we bought last year at Belville furnishers to bring the whole en masse Persian carpet thing together when we started sorting the patio out – we didn’t get any further than that though. OK, so the couches have to stay as i don’t have budget to change them up and they’re in pretty good nick. 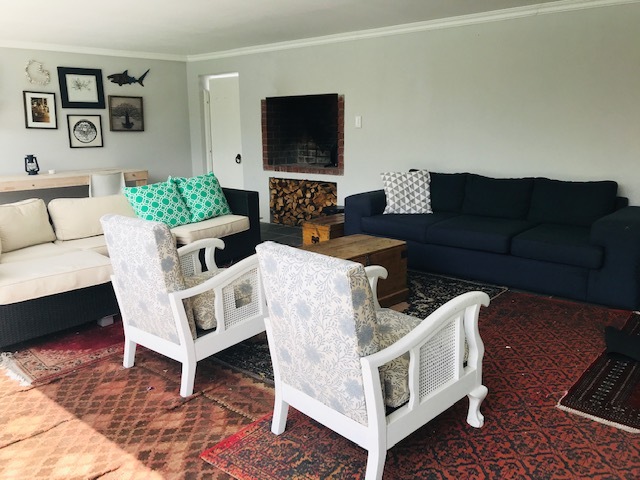 I took the cushion covers for the proper outdoor couch to be dyed last week and disaster – the dye didn’t take, so i’m disappointed in how they’ve come out and also that i wasted R380 dying them. I have however found bull denim in exactly the grey i want so when i do the reveal they’ll look MUCH better and far less greige – my worst colour (besides maroon and orange). I don’t think i’ll have time to have new covers made before all the upholsterers close for December so i’ll just have to wait to next year. 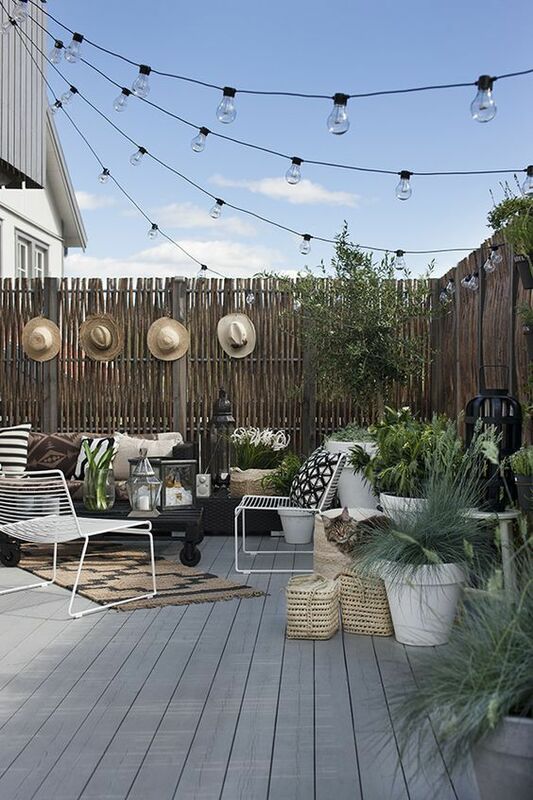 I’ve opted to extend the garden feel to the patio which means its going to be very botanical heavy with black and white – it’s not a new look but i think it will work for here and with the strong black details i plan on introducing it marries with the interior of the house. I have spent weeks looking for decent planters that won’t break the bank…my mother in law has also been in the look out for me – not an easy task – WHERE are all the nice planters??? The box in the middle of this living area has to go. The scale is wrong and the shape is wrong and i’m over it. 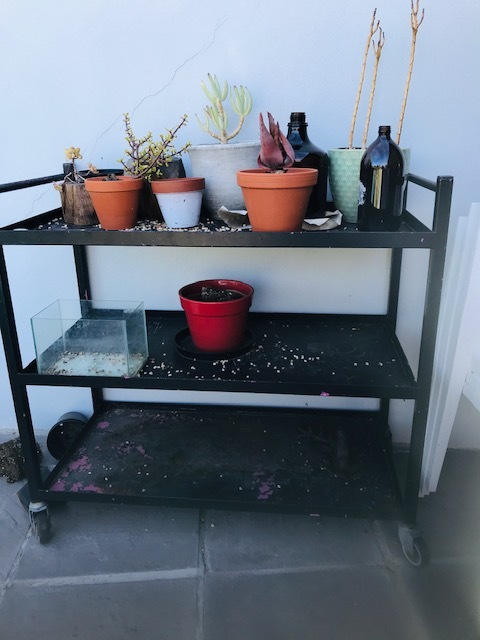 The planter trolley is also a hot mess and luckily i have a bunch of planters that just need new plants so that won’t be difficult to sort out. Shame, it really looks very sad and forlorn. Also, i’m not sure why the fish tank is there – Chloe managed to keep her fish alive for only one day and somehow i’ve been left with the coffin, poor fish. Anyway, i’m rambling…take a look at where my head is at regards things…. And i like this look too – see how the round table is a much better option for the whole linear setup? 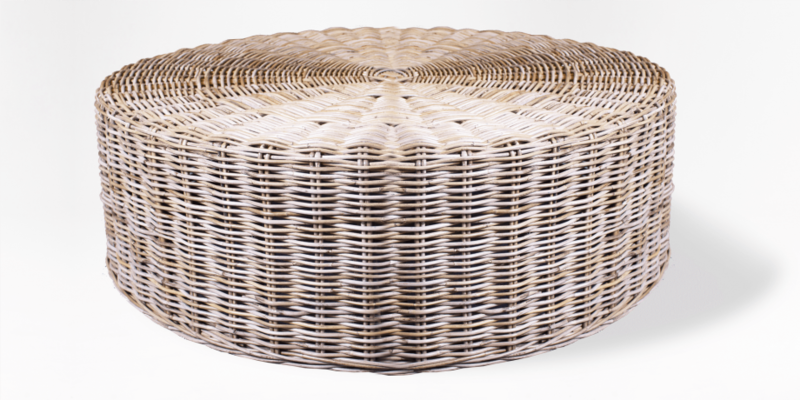 This is the Daisy Patio Coffee Table – i found it at Coricraft and i absolutely love, love, love it! I love how sturdy it is and that i’ll be able to put a lovely styled tray on it and that its exactly what the space needs – tick, tick, tick! Also, our little savages’ favourite game is to climb on the box that’s currently in the middle of our patio and jump onto the couches – and they’ll still be able to climb onto this without me fraking out that they’re going to break it because it’s really sturdy. I cannot tell you how bored i am of looking for planters – i have looked everywhere – online, on community pages, at three local nurseries – so over it! 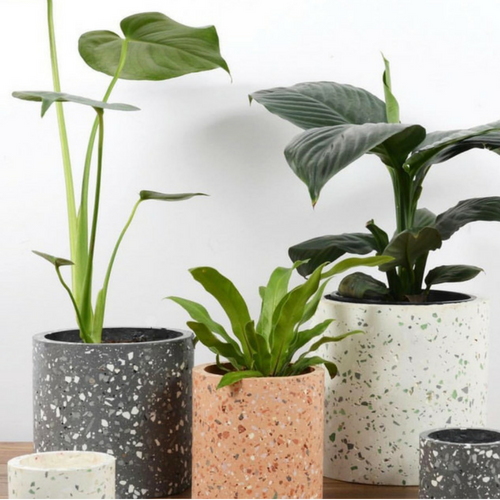 I really love the idea of some terrazzo planters – something tells me i should go into the business of making planters – why are they so hard to find?? The good news i actually found some yesterday…yay! Ok, so i know what i’m doing with the cushions because i’ve just had them made up. From top left – this fabric is from Lula Fabrics – the lovely Melissa from Lula actually gave me the fabric over a year ago and i’ve been sitting waiting to decide what to with it. I didn’t want to waste it and i’m so glad i had giant cushions made in it. Melissa also makes up cushions which is a BIG bonus plus she’s really reasonable and super quick! 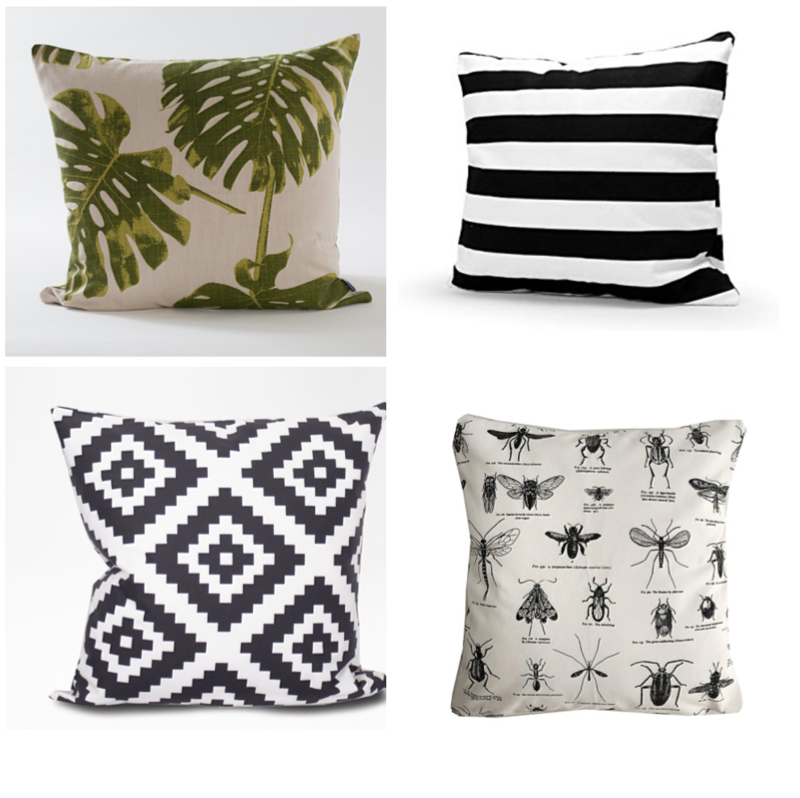 The black and white striped fabric is over 10 years old – i bought it at a sale and never did anything with it so i’m glad to finally have made cushions in it. The insect fabric is from Love Milo and i am absolutely and utterly hopelessly in love with it – my entire family is not going to be happy with me – everyone is a bit bug averse – eek! 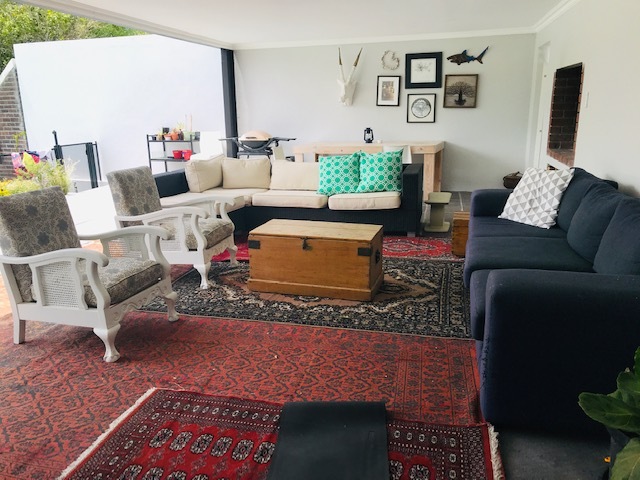 And the geometric black and white cushion is another Coricraft find (click here to buy it) – their outdoor patio furniture and smalls are seriously impressive people, and really nicely priced too – this cushion is R299. So we’ve had white cushions on our patio forever but half of them have cracked and they have started showing the dirt quite badly -i discovered they would be pretty expensive to replace so i think i’m going to opt for the cheapened cheerful Addis Stella chairs – they’re under R300 each (i managed to convince the manager of the store i found them at to give me a discount 😉 and we have white ones in Stanford which have lasted really well. 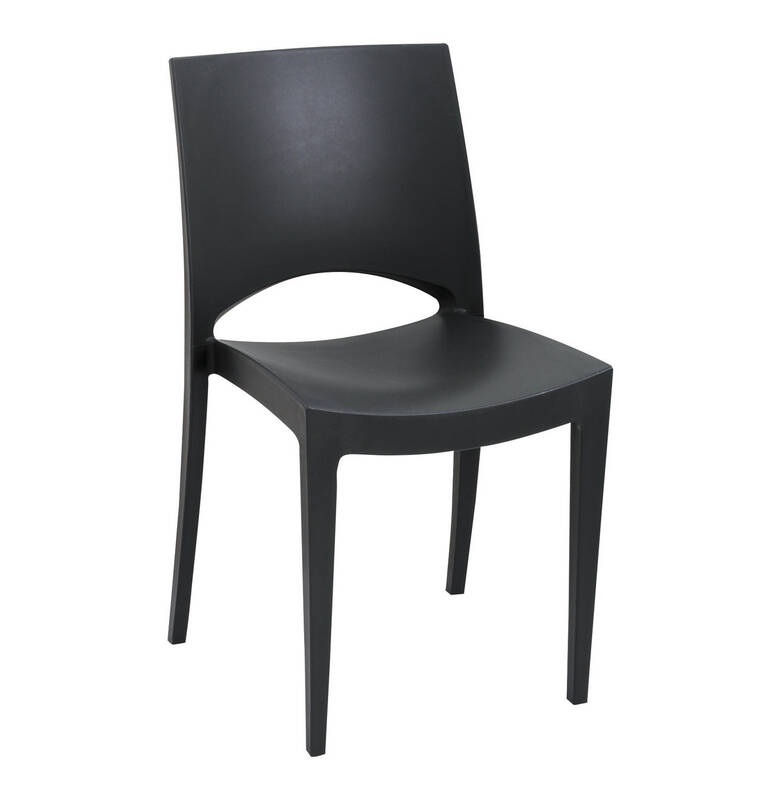 I’m also excited to see how more black is going to look on the patio – i’m hoping the chairs act as a strong focal point. Natascha van Niekerk is a favourite of mine – she has so many beautiful and affordable nature-inspired artworks (framed and unframed) to choose from and i’ve ordered from her in the past and was so impressed with just how efficient and professional her online service is. 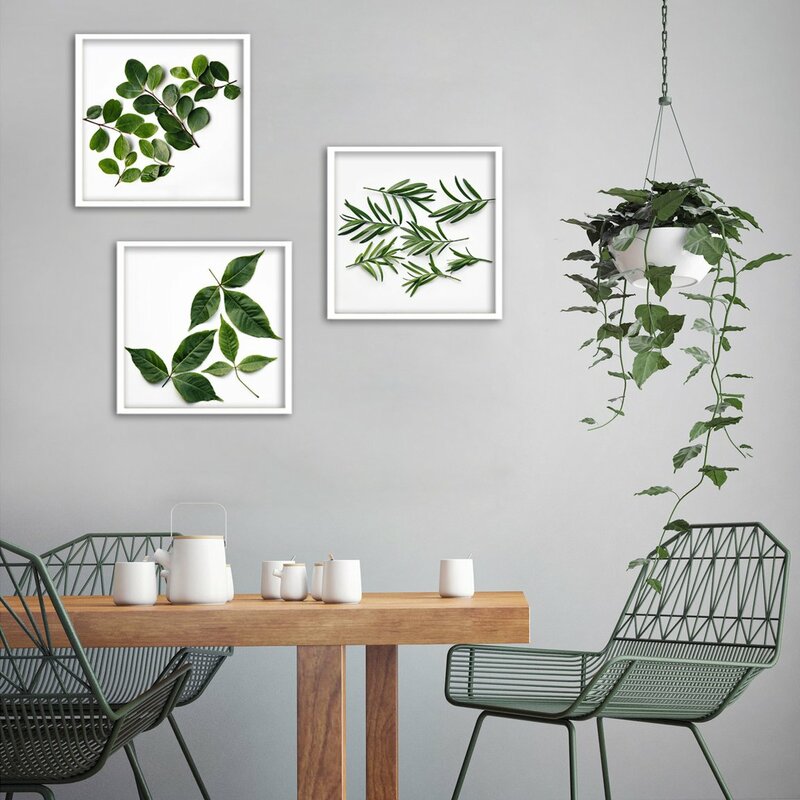 This trio of botanical prints is exactly what the one wall needs and i think in time i may build on it with other images but for now i think these are perfect. Also – Natascha currently has a Christmas sale on – so worth it if you’re wanting to pep up your indoor or outdoor space with minimal fuss. So that’s where i’m at me lovelies, i’m looking forward sharing our updates as they happen. 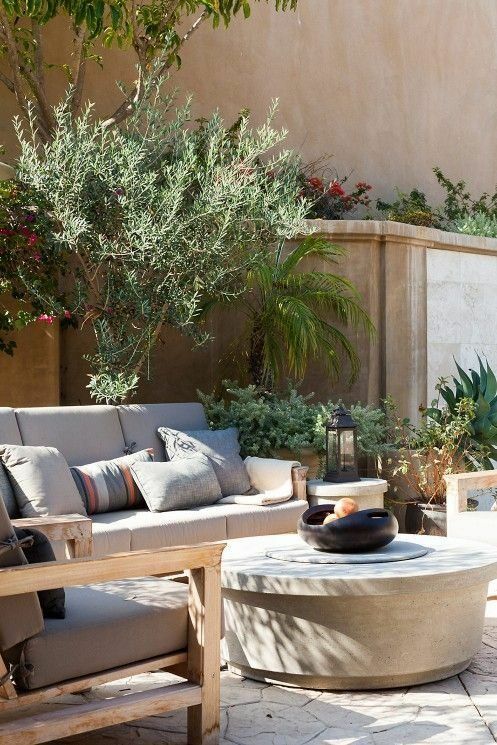 There is an absolute dearth of nice planters! I am sure in your reveal you will let us know. Very interested to see the final result! 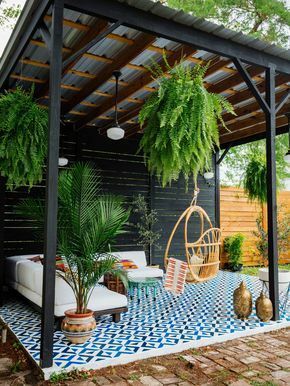 We recently had a new patio installed in our backyard but decorating it sure has me stumped. Good luck to you. I’m sure it’s going to turn out amazing!